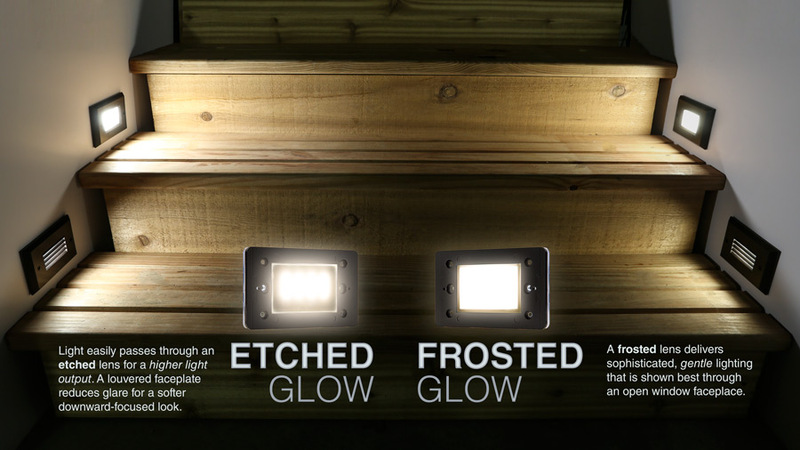 LED Step Lights - Rectangular Deck / Step Accent Light w/ Frosted Lens - 12V or 120V: Shown On In Natural White (Top) And Warm White (Bottom). 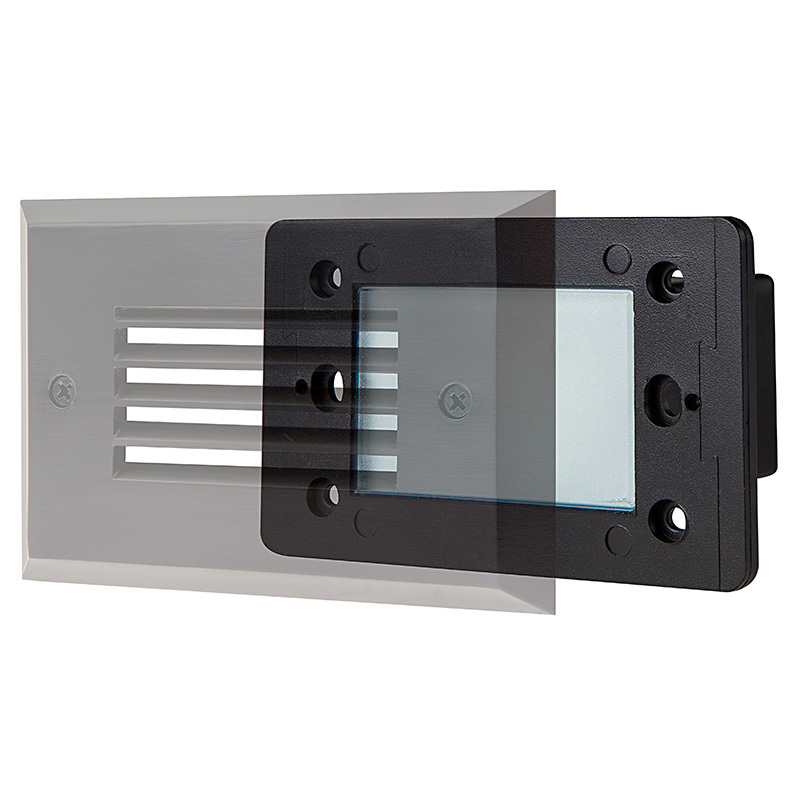 LED Step Lights - Rectangular Deck / Step Accent Light w/ Frosted Lens - 12V or 120V: Etched Lights Shown On (Left) In Open And Louvered Face Plates Compared To Frosted Lights (Right). 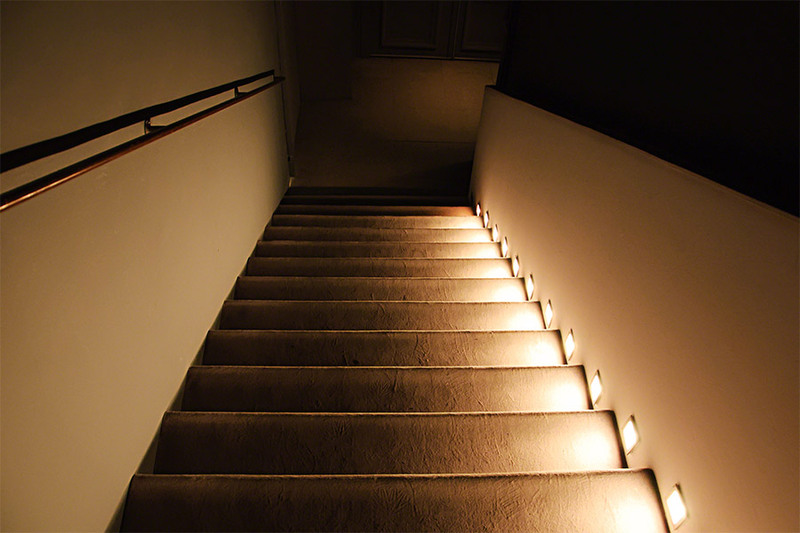 LED Step Lights - Rectangular Deck / Step Accent Light w/ Frosted Lens - 12V or 120V: Shown Installed On Staircase Landing In Warm White. 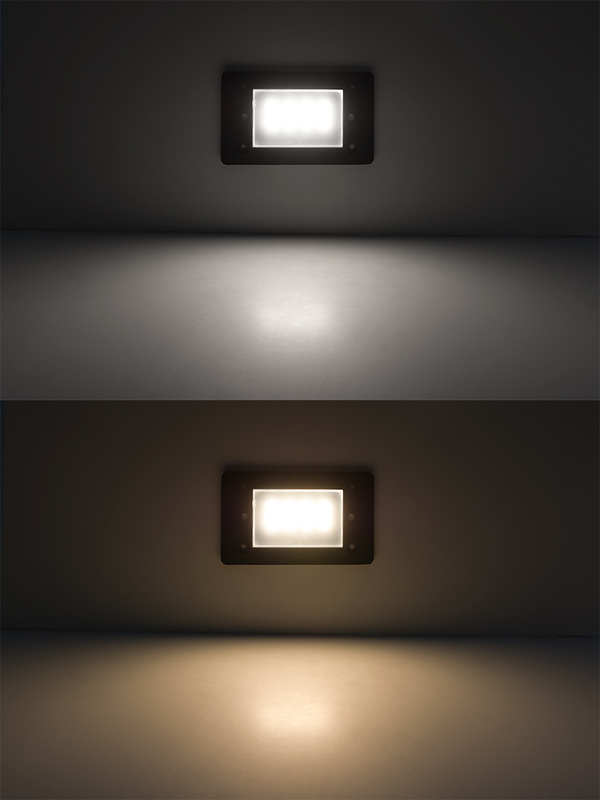 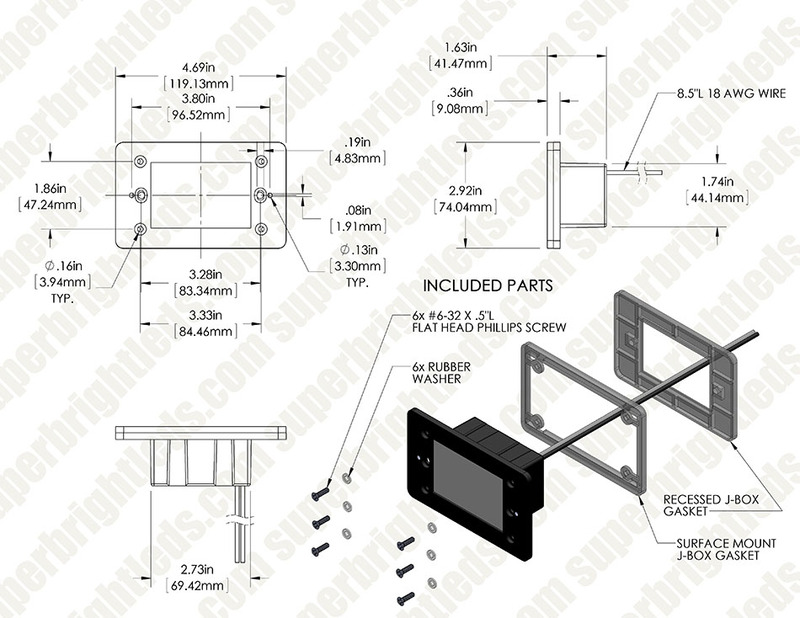 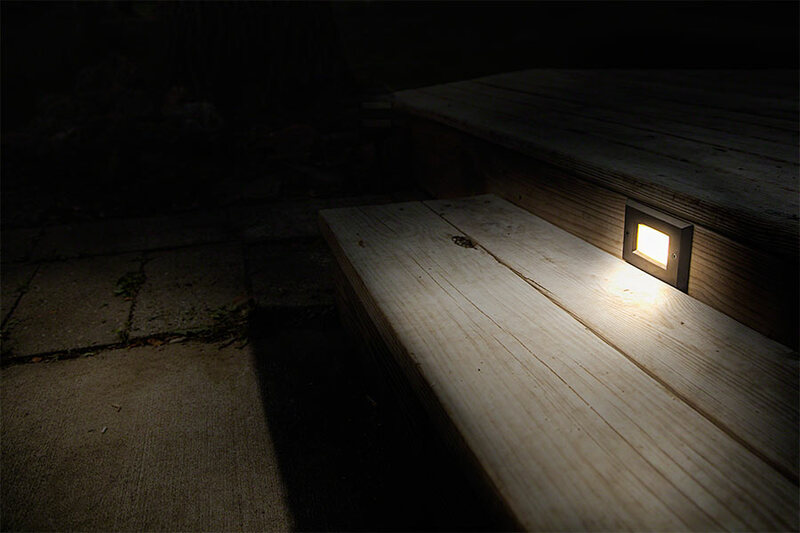 Rectangular Deck/Step Accent Light: 360° View. 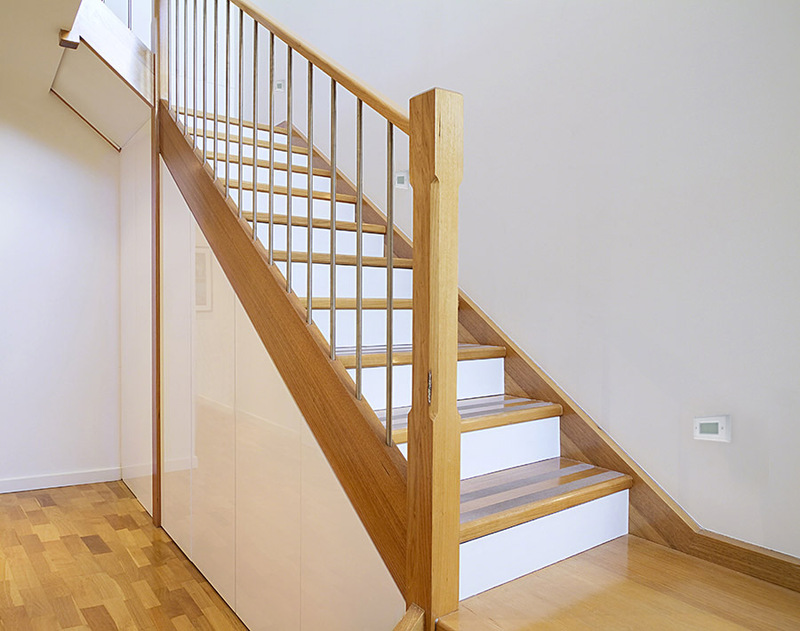 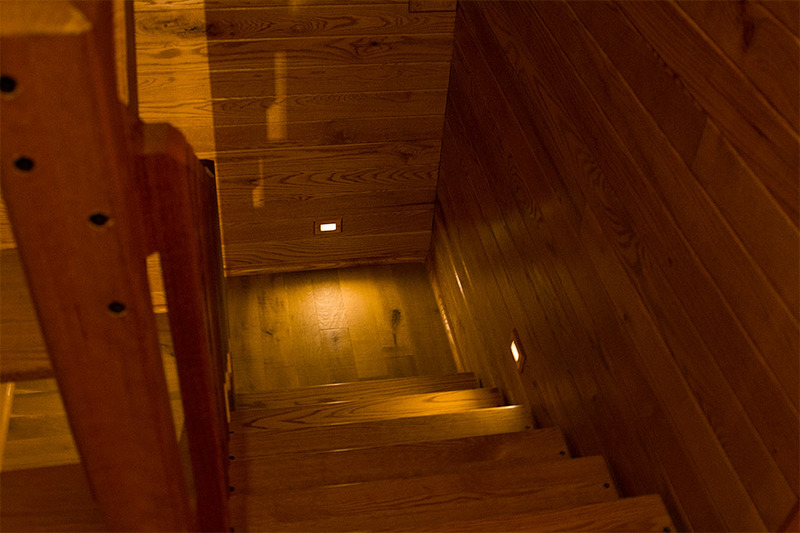 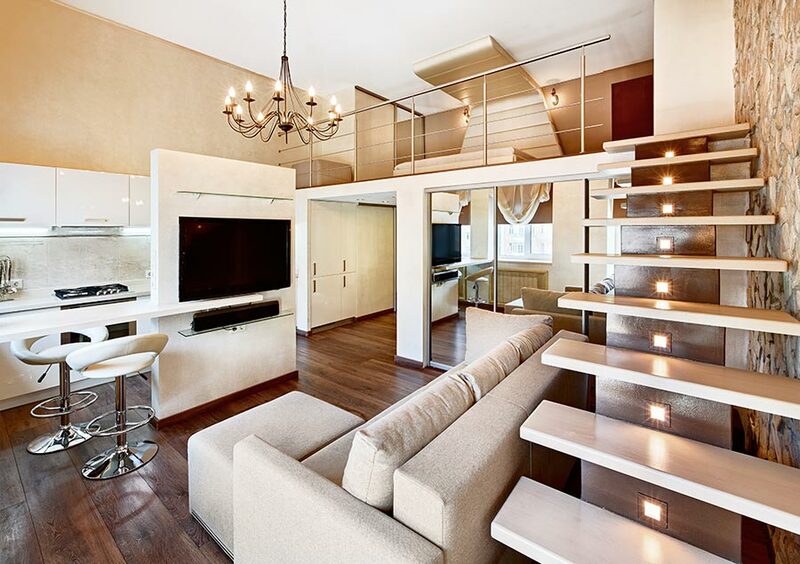 LED Step Lights - Rectangular Deck / Step Accent Light, 12V or 120V: Shown Installed In Loft Staircase In Warm White. 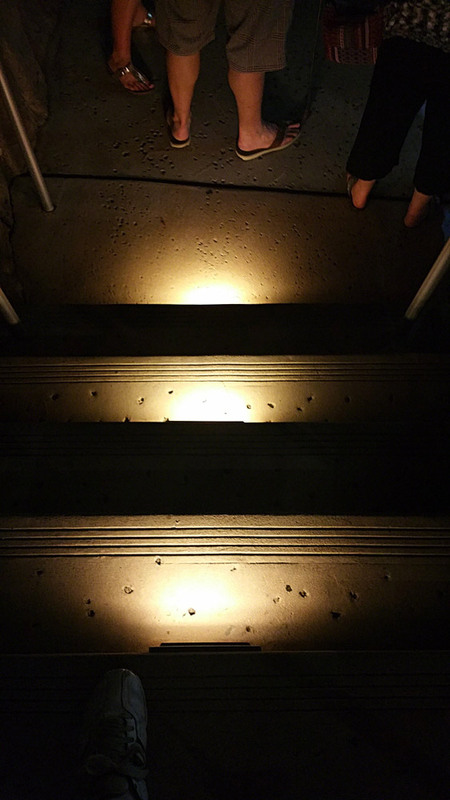 LED Deck/Step Lights are a great way to add distinct accent lighting and safety illumination to your steps or deck walkways. 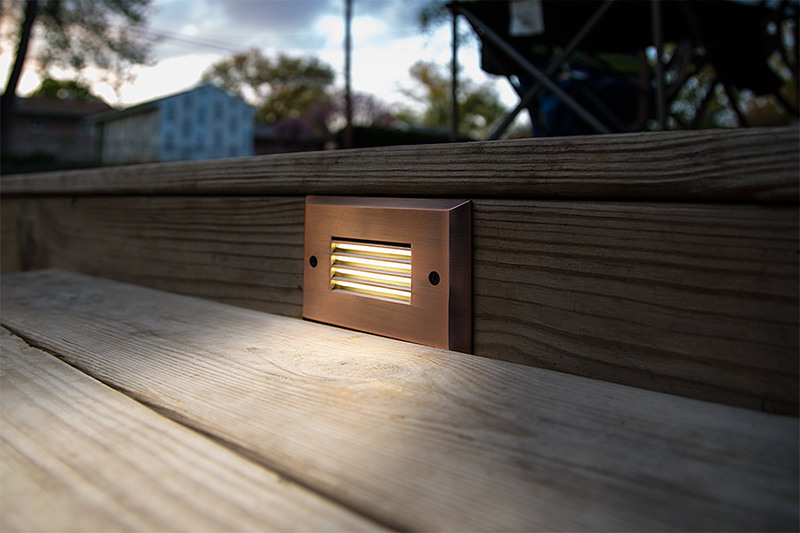 Wired directly to your home's electrical system or your low-voltage landscaping system, this jbox-ready light uses very little energy. 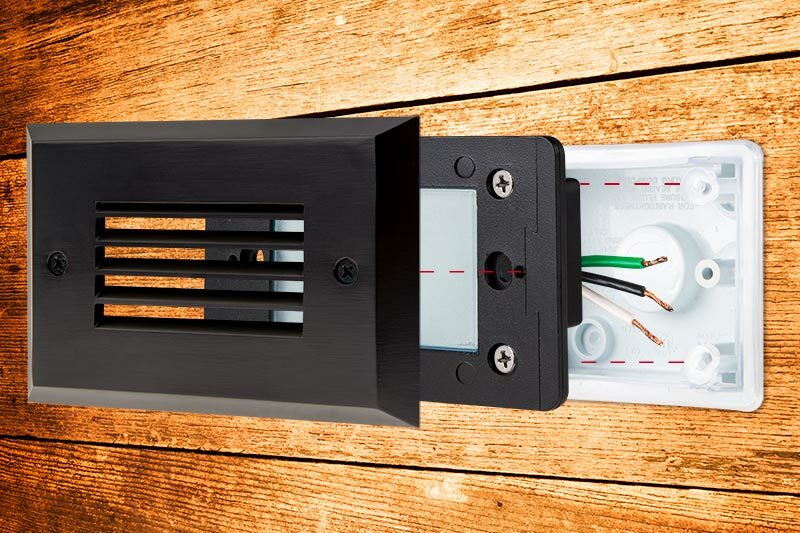 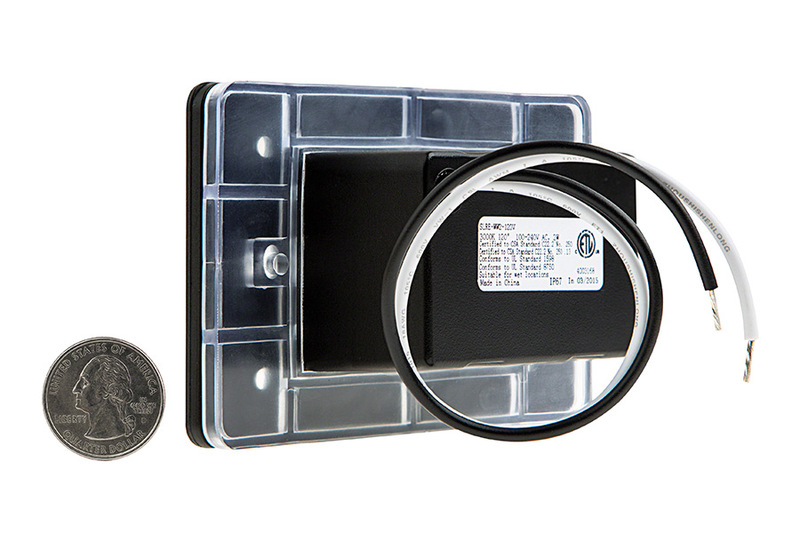 The waterproof polycarbonate housing protects internal components, and a frosted glass lens gives sophisticated ambient lighting to your indoor and outdoor applications. 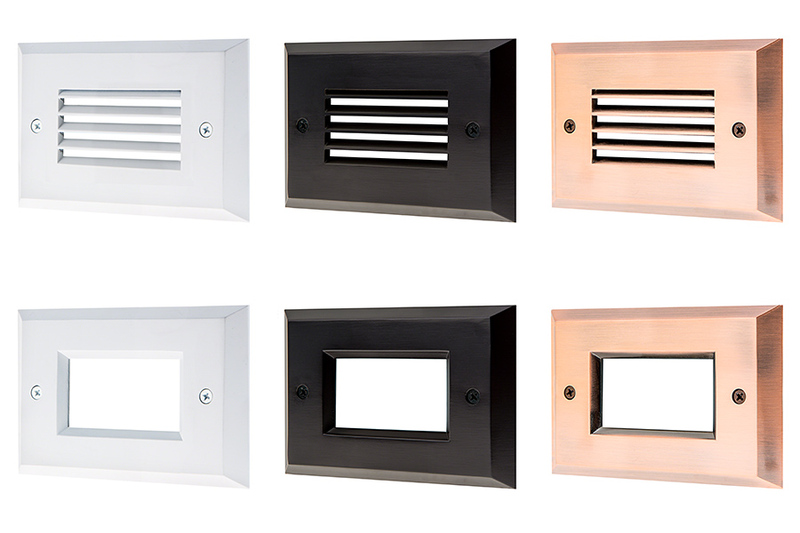 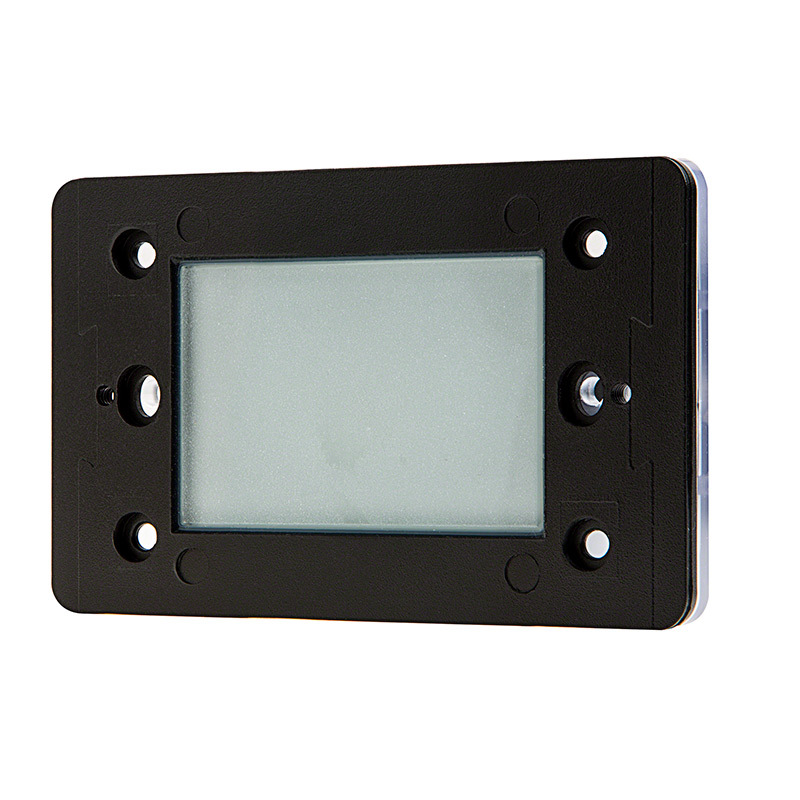 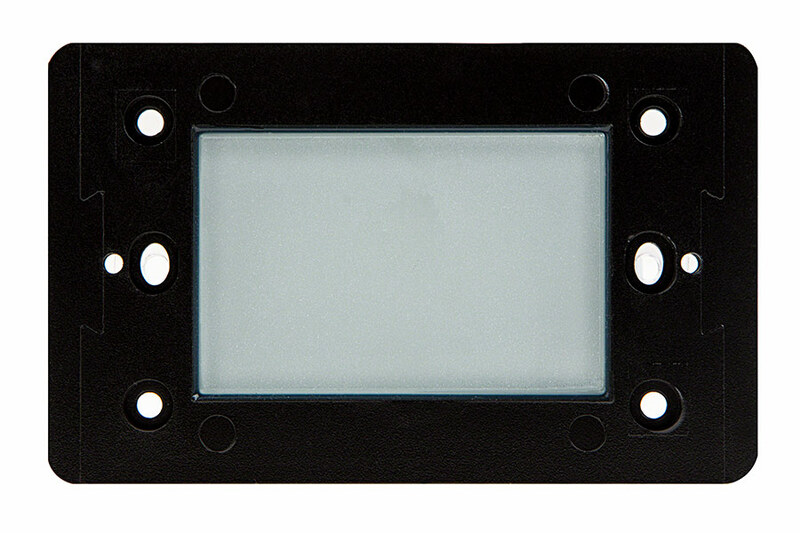 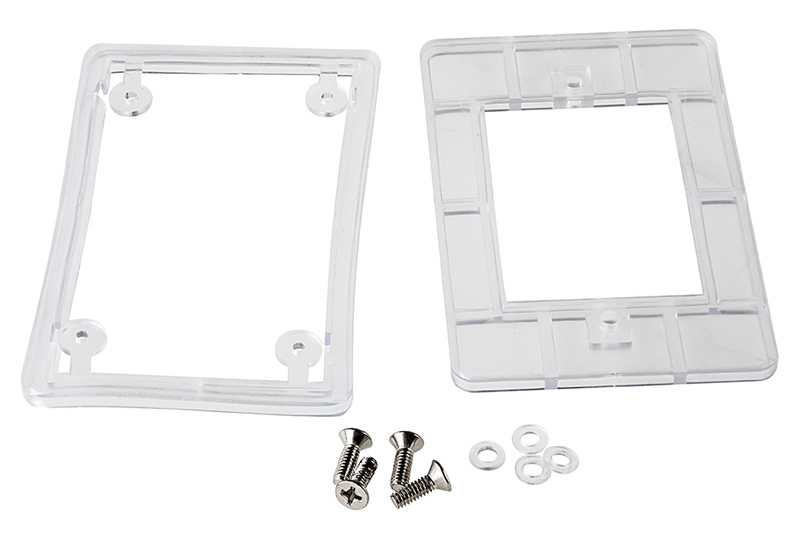 Select a faceplate to match your designs. 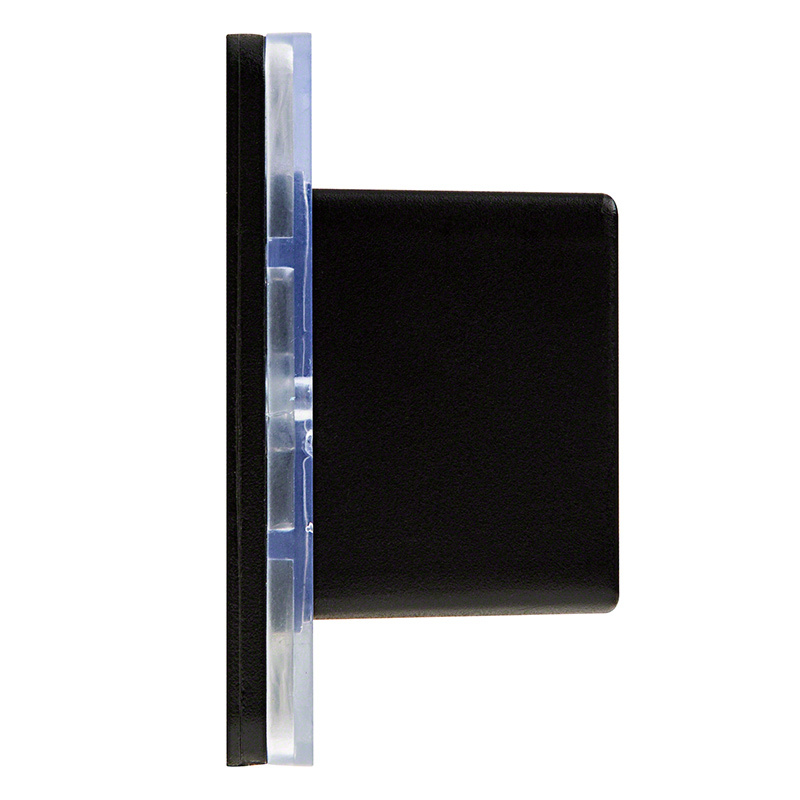 I love this product, the light output is great and I don't have to worry about replacing my old lamps when it rains or overheat due to debris from the gardener.